MaxPreps recently just tweeted out the early national softball contenders list, and the Penn High School softball team is ranked No. 10 in the nation. The Kingsmen, who were 28-3 last season, are in the company of top teams in California, Arizona, Texas, and Nevada. Penn players have constantly put in the time and effort in the off-season to improve their skills in the hopes to make it to the 2016 State Championship. Coach Beth Zachary’s 2016 team will have five returning seniors and four returning juniors, eight of which have committed/signed to further their athletic and academic careers. This group of girls have carried the team to two Northern Indiana Conference titles, two sectional titles, two regional titles, and two appearances at semi-state. The Kingsmen are determined to go all the way this year after the heart-breaking loss to Lake Central for a spot in the finals last season. With that constantly in the back of their minds, the Kingsmen have developed a laser focus to prepare for the State Championship game on June. 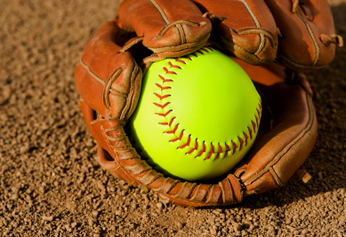 The Penn High School’s softball team will begin their quest for the blue ring on March 28 at Portage.